A tiny Beverly Hills firm has developed and is about to begin shipping a new software product to retailers that has industry giant Sony Corp. seeing red. It seemed like only yesterday when scores of freeway drivers were visibly gabbing on cell phones, paying more attention to keeping the devices glued to their ears than keeping their cars in one lane. As pundits debate whether the police were too passive in handling last week's "riot" outside Staples Center, some more profound questions have arisen about how downtown's shining new arena fits in with the fabric of Los Angeles. Remember when every hot new company wanted to have "dot-com" in its name, because it conferred instant prestige (and the promise of piles of venture capital)? Business is likely to be very good at the new AMC Theatre that just broke ground in Burbank. For some time now, local chambers of commerce have recognized the efficiencies of merging everything from saving on rent and salaries to the ability to attract members from a broader territory. Just got into town for a big presentation? You may well be experiencing that sinking feeling we often call "pre-presentation jitters." A few years ago, Variety only had its arch rival, The Hollywood Reporter, to worry about. Now it's competing with seemingly everybody. Vivendi's $34 billion takeover of Seagram Co. and its local Universal Studios Inc. operations sent the entertainment industry buzzing last week about the probable fate of Universal's current American management and other related topics. It hasn't been business as usual. Or maybe it's returned to business as usual, depending on how you look at it. As much as journalists love anniversaries, we're in danger of letting one slip by unnoticed this year. No, it wasn't from Jose Eber or any of the other L.A. uber-stylists. It was from tech investors, or more specifically, from tech investors' flight out of the Internet sector. You've probably heard about margin calls. What you don't know is how bad they can get. It may not be the 1980s again, but there are signs that the leveraged buyout is back. The vintage architectural style, characterized by natural surfaces meant to mimic their surroundings, is more popular today than it has been at any time since the Arts and Crafts movement swept the nation between 1900 and 1920. Any more weak economic data and the call will go out to the grand poohbahs of the National Bureau of Economic Research, the arbiter of all things cyclical, to convene in order to determine the start date of the recession! "When I arrived in the U.S., I was 15 years old and had never seen a telephone, a television or heard English spoken," said Carmen Bermudez, a native of Costa Rica who used to climb trees to pick fruit as a way to stave off hunger. All sorts of things go on at meetings but it is disappointing how rarely a productive and creative exchange of ideas leads to good collective decisions. Nevertheless, use of assertive technique can facilitate positive and productive meetings. While directors, top studio brass and other big-name animation players have been moving to Internet firms such as Shockwave.com, Mondo Media and Stan Lee Media for the last year, the rank-and-file animators had not followed suit. Until now. It's not another one of those catchy nicknames that Shaquille O'Neal likes to give himself. Instead, it could describe the bicycle that the Lakers center has put up for auction online. A couple weeks back I reported that ING Barings had virtually shut down its L.A. investment banking operations. As it turns out, that's not correct. A few months ago, Load Media Network was one of the scores of companies written off as investors turned a cold shoulder to Internet content providers. Frank Sinatra may have called L.A. "a lady," but I think the fabled crooner and longtime Southland resident had it all wrong. Los Angeles' essence is not that of some elegant female but her scheming opposite, a male on the make. Burke and Peggy Byrnes, co-owners of Sonrisa Furniture, used to sell brightly colored Mexican and Southwestern folk art and pine furniture that evoked the fiestas and fanfare of the Latin world. Los Angeles' long-suffering aerospace industry is poised to get a major shot in the arm, with two multibillion-dollar Boeing contracts bringing loads of work to local subcontractors. Without a doubt, the spring tech sell-off sent a jolt through the Los Angeles investment community. Just how did it change the landscape, and what does the future hold? The Business Journal asked prominent local financiers for their take. Faced with one of the biggest issues ever to confront the Northeast San Fernando Valley, three local chambers of commerce are merging in hopes of having a louder voice when it comes to the area's pending redevelopment. As the Sports Club Co. beefs up, Wall Street is responding by kicking sand in the fitness company's face. In some sense, eParties was lucky. Not all floundering e-tailers are going to find a helping hand at any price. Other companies are still hashing out their survival prospects, and may not yet realize the time is nigh. LABJ FORUM--Media Fair in Upheaval Coverage? Just a few months ago, companies like RightPro Inc. were frantically turning to their attorneys for counsel on the intricacies of going public. Demand for affordable day care is exploding throughout Los Angeles, as an increasing number of welfare parents make the transition to work. If you saw bizarre images flashing on a tall building near Staples Center and heard pounding industrial/techno music after leaving a Lakers playoff game, don't worry, you weren't hallucinating. It's a radical new advertising campaign launched by Lexus. On April 22, 1889, tens of thousands of people lined up at the borders of Oklahoma on horses, wagons and trains, preparing to race for the rights to their very own home on the range. MOGULS--As Dot-Coms Falter, Where Will New Moguls Appear? Every economic cycle tends to produce a new crop of entrepreneurs who started out with a pocketful of ideas and end up on the list of L.A.'s super rich. In light of the dot-com meltdown, the local Internet entrepreneurs who cashed out last year are looking like financial geniuses. Most people aren't crazy about it, but making presentations is an unavoidable part of corporate life, so why not make the best of it? The following may help you prepare a more interesting, informative, and persuasive talk the next time you're asked. Despite the dot-com bubble bursting, many venture capital firms in Los Angeles plan to invest more money this year than last, according to a Business Journal survey. Insurance brokers work closely with their clients to find the broadest insurance coverage at the lowest cost. While some brokers handle all lines of insurance, others specialize in one or more areas of coverage. With cargo volume mushrooming at local ports, South Bay warehouses are quickly reaching capacity, and the peak holiday-merchandise shipping season of June through October is just getting started. The anniversary came and went. There was little fanfare, at least compared to the same day six years ago, when everyone in America was saying, "Quick, turn on your TV set! O.J. Simpson is on the run!" Real Estate Column --- Chicago Firm Is Moving Into Apartment Niche in L.A. Quietly but steadily, Elkor Realty Corp. has been expanding its Los Angeles-area apartment portfolio in recent months, with purchases of complexes in Hollywood and Marina del Rey and several others pending. Any family business that has looked at keeping it in the family and successfully transitioning ownership to the next generation can tell you it's a tremendous challenge. Unlike the booming decades of the '70s and '80s, the last decade of the 20th century was a bust for the environmental services industry. Stories abound of money-hemorrhaging Internet startups run by fresh-faced wunderkinds who, even in the tech downturn, have made a killing in salary and options. The founder of CarsDirect.com is off to a new venture that takes the basic CarsDirect model and applies it to other big-ticket items like boats, motorcycles, washing machines, computers and stereos. In 1999, the average base salary for L.A.'s 100 most handsomely paid corporate execs was $569,160, about the same as the previous year. But average bonuses climbed 22 percent to $904,760. While L.A. county officials try to hammer out a $1 billion federal bailout to keep the public health system running, another potential health care crisis is looming. Hershey Felder, who is starring in "George Gershwin Alone" at the Tiffany Theater until June 25, had such a moment outside Auschwitz, the Nazi death camp. It gets taxed by the federal government, the state government, city government and Social Security. Nine months have passed since we began the process of getting DSL, and our service just went live last week. Our path from query to connection was a jumble of miscommunication, false promises and technical mishaps. Not particularly exciting perhaps, but then again, it's better than losing money. Five years ago, coin shop owner Mark Verge tried to help a friend get his money back from a rental agency that had placed misleading apartment ads. ROBERT E. PETERSEN SOLD HIS huge PUBLISHING COMPANY, BUT SOON REALIZED INK WAS IN HIS BLOOD. NOW HE HAS BIG PLANS FOR SPORTS AFIELD. Vitesse Semiconductor Corp. was trading at more than $100 a share in early March. Then the bottom dropped out from under tech stocks, and the Camarillo chipmaker saw the value of its shares decline 50 percent in a matter of days. Chalk it up to the hot economy, rampant consumerism or man's basic obsession with the latest high-tech gizmo, but many of L.A.'s old-time camera stores are in the midst of a building boom. The $300 billion Teachers Insurance and Annuity Association's College Retirement Equities Fund has criticized mega-grants of stock options to chief executives. My research shows the fund is right to do so. LABJ FORUM --- Meetings Waste Too Much Time? So the relatives from the Midwest are coming to Los Angeles, and they want to see some movie stars. Where do you take them? With eight weeks to go before the Democratic National Convention and convention organizers still millions of dollars short, President Clinton, the ultimate fund-raiser, is coming to L.A. this weekend to close the gap. The talks by French water and media conglomerate Vivendi to buy Seagram Co. and all its local entertainment businesses has Hollywood in a buzz, with many wondering how a French parent might affect operations at Universal Studios Inc.
A sudden burst of home buying in late May led to stronger-than-expected monthly sales and higher prices throughout Los Angeles County, as confident shoppers ignored early signs of economic slowing. The long-running court battle over the city of Los Angeles' decision to divert tens of millions of dollars in port revenues to its general fund, to pay for hiring more police officers, appears close to being settled. A couple years ago, Kevin Keating plunged into developing telecom buildings, just as the trend in locating communications equipment in vacant downtown structures was taking off. Not to be outdone by their bigger competitors, several mid-size cinema chains have banded together to create their own Web site hawking movie tickets and giving information on show times and theater locations. In the Middle Ages, a cathedral took shape after decades of grueling labor by hundreds of craftsmen and laborers using hammers, chisels and wooden scaffolding. There were fire-breathing speeches, bitter denunciations and '60s power-fisted salutes by the likes of Harry Hamlin, Richard Dreyfuss and Billy Baldwin. Buddy Hackett was even up on the podium cracking Las Vegas jokes. Ellen, again: Comedian Ellen DeGeneres plays the Universal Amphitheatre on June 24. And it should be good; she's had a long time to rehearse her jokes since her TV show was canceled. Information: (818) 980-9421 or (818) 622-4440. Nine months after the collapse of Earvin "Magic" Johnson's attempt to redevelop the rundown Santa Barbara Plaza, another developer has stepped in with a new proposal, breathing life back into the five-year, inner-city revitalization effort. The entertainment industry, led by Seagram Co., almost doubled its donations to federal campaigns from the previous election cycle as it fights Internet piracy, a campaign-spending watchdog group said. In a typical commercial lease deal, most tenants focus on basic provisions like rent, square footage, improvements and other obvious black-and-white economic factors. Anybody who follows a conservative philosophy of mutual fund investing is going to miss out on some big winners along the way. Wall Street has not treated Imperial Credit Industries gently in the past three years, with the Torrance-based finance house's stock falling from nearly $25 in late 1997 to under $4 in trading last week. For suddenly thrifty dot-coms looking to squeeze every penny out of their remaining funding, the key to building name recognition may not be Super Bowl or radio ads, but apples and oranges. You would think that hurricane season would be the perfect time to sell "Storm Pruf Storm Rooms," a prefabricated safe room built inside a home or office. As Microsoft contests its court-ordered breakup, another high-tech giant might be preparing to follow in its footsteps. Perhaps the most striking thing about the list of L.A.'s most highly paid public company executives is how little relationship there is between a CEO's pay and the performance of his or her company. Are you in a 401(k) plan that invests heavily in your own company's stock? You, and your company, ought to take another look. You're gambling with your future, at doubtful odds. After waiting patiently on the sidelines for years, Los Angeles-based real estate investment trusts have been jumping back into the game. After a long period in which they were hardly touching real estate investments, pension funds have emerged as a dominant player in the sector. Buy.com Inc., the money-losing online retailer touted as Orange County's answer to Amazon.com, has tweaked its strategy in hopes of staving off the harsh new realities that have beset other dot-com hopefuls. The theme park that gave the world Space Mountain, Star Tours and even Pirates of the Caribbean has a new thrill in store: a tractor. 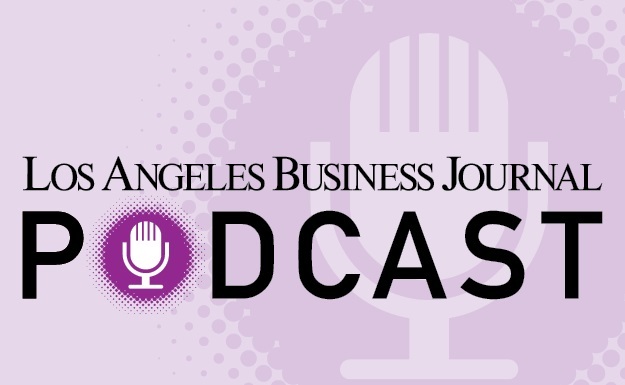 The Business Journal asked some of the top people in the field to address the current state of real estate investing in L.A., and provide their outlook on where they think the market is going in the future. One of L.A.'s most prolific and successful real estate investors, Tom Barrack heads Colony Capital Inc., the quintessential "opportunity fund" that specializes in buying undervalued assets at bargain prices and waiting for the market to turn around. Six years after the Northridge temblor, damage has again taken center stage this time in Sacramento, where state lawmakers are considering a bill to reopen the insurance claims process. The Board of Education unanimously agreed to appoint former Colorado Gov. Roy Romer superintendent of the Los Angeles Unified School District, making him the first non-educator to lead the huge and beleaguered district. For the third year in a row, Van Nuys-based Cherokee Group reported record-breaking revenues and profits in 1999, and in recent months it has announced a slew of new licensing agreements. It seems that just about every other street in Los Angeles is being repaved or repaired. As the sand heats up, so does the competition among Santa Monica's luxury hotels and this summer, that competition will be fiercer than ever. Michael Stremfel last week was promoted to editor of the Los Angeles Business Journal, filling a post that had been vacant for nearly three months. The merger frenzy swirling through the airline industry is sending the personal net worth of two of L.A.'s richest residents into higher air space, and their windfall could go higher in the months ahead. The legislative outlook for California businesses at mid-session following the June 2 deadline for bills to pass their house of origin is looking much sunnier than the outlook of a year ago. LABJ forum --- Tips for New Head of LAUSD? It's video, you see, and it's free for the taking on the Net. Animated shorts, music videos and full-length movies are being traded back and forth as freely as Microsoft Outlook viruses and bad jokes. A new tech center under construction at Taylor Yard has signed its first tenant and more deals are in the works. If the recent VentureNet 2000 investor conference in Laguna Niguel is any indication, it could be a long summer for local technology companies in search of funding. TECH TALK --- Will Catchy Name Attract Surfers to Television.com? L.A. is getting yet another entertainment Web site, but this one hopes its memorable name will distinguish it from the pack not to mention help it avoid the fate of some of its flailing brethren. It's not just ABC that's benefiting from the success of "Who Wants to Be a Millionaire?" Now that all of us are married to the idea that stocks are the best long-term investment, we have a problem. In general terms, a money manager can be described as someone who helps investors meet their needs and objectives for investments, tax planning, asset allocation, retirement planning, risk management and estate planning. A wide variety of Los Angeles County properties have changed hands over the past 12 months, and no two properties among the five highest-priced sales are alike. Rome wasn't built in a day, but that isn't deterring a UCLA professor and a team of seven archeologists and computer scientists from recreating the ancient city, brick by brick. The words "farmers market" usually conjure up images of leisurely weekend strolls, latte in hand, with the smell of flowers in the air. Yes. Gak. The latest word in love. Well. Not really love. Marriage. Well, not really marriage. Bliss. Marital bliss. Maintaining it, that is. Which is where Gak comes in. Shareholders in Santa Monica-based Stamps.com Inc. saw their shares hit a 52-week high of $98.50 on Nov. 22. With nearly 50 million shares outstanding, Stamps.com then had a market cap of more than $4.81 billion. The friendly skies are abuzz with airline merger talks, and the potential impact on Los Angeles could be tremendous creating both headaches and opportunities. Like quite a few other financial writers, for years I've carried a banner advocating do-it-yourself investing in mutual funds, rather than paying a broker or other adviser to make choices for you. For the last two years, the 2.4-square-mile city of San Fernando has been in an uphill battle to turn itself from a Latino small-business mecca into a center for big-name retail development. L.A. Foods, which resells excess food from manufacturers, has over the past decade built its business from a one-man operation to one of the biggest companies of its kind in the nation, with annual revenues of $22 million. When Ed Garnett interviews prospective employees for Amgen Inc., he has an ace in the hole. Real estate investing isn't just reserved for the moguls who play Monopoly with real buildings; for many regular, middle-class folks, it's considered a more reliable retirement plan than putting money in the stock market. Jim Caldwell first became interested in making infomercials in the late 1980s after seeing a TV sales pitch for motivational tapes. Swimsuit designer Anne Cole has been a personal witness to the whirlwind changes in the swimwear industry. Her father Fred Cole, a former silent film star, founded Cole of California in 1925 when women were wearing suits practically down to their knees. Ever since buying a Studio City coffee house called Jennifer's last September, Mario and Shelly-Ann Martin have been trying to boost business through a series of comedy shows and spoken-word nights. For the third year running, the Business Journal took home a slate of awards from the Los Angeles Press Club after its annual Southern California Journalism Awards presentation for outstanding news coverage in 1999. When the Democrats come to town in two months for their national convention, much of the public attention is going to be focused on Staples Center and a handful of public events in the downtown area. When you own a business, the decision to hire a new employee along with the process of finding the right person can be quite daunting. The L.A. Lakers could open the 2001-2002 season on a very long road trip to Tokyo. Boston might boast one of today's hottest tech communities, but a Beantown animation company thinks L.A. is the place to be. From the beach to the offices of local companies, scooters that's right, suped-up skateboards with handles are the transportation du jour. It is about a phone booth. In the Mojave Desert. "The loneliest phone booth in the world," they called it. If you're Bob Cooper, the former head of production at DreamWorks SKG, and the movie was "American Beauty," you start your own company. As downtown inches forward in its quest to attract the critical mass of residents needed to spark a renaissance there, a crucial ingredient is still missing a supermarket. Revenue at AIMS 2000 may be growing by leaps and bounds, but that isn't helping to solve one of the company's biggest problems: its name is rapidly becoming outdated. Two days after the May sweeps ended, the only Hispanic general manager of an English-language L.A. television station abruptly resigned, raising concern among activists who have been trying for years to raise the profile of Latinos in the local media. While most sectors of the U.S. economy are just starting to fully explore the potential benefits of improved trade relations with China, one sector in Los Angeles is already moving to expand their business dealings there. Pundits insist that any ramping-up of opportunities in China remains years away, despite that country's pending admission to the World Trade Organization. Only a year ago, officials at WMC Mortgage Co. had envisioned a vast network of retail outlets to handle their lending business. When David Cline's father was fired from his job due to his arthritis, Cline vowed that he would become an entrepreneur to guarantee that he would always have a job. Since then, Cline has owned three small businesses. It had to happen: a tech-oriented fund in Los Angeles looking to take positions in or buy distressed companies at a discount. A friend showed me her credit-card bill last month. Her balance was $425. Her minimum monthly payment this month was listed as "$0.00." My friend said, "Look at that, I have one month free." How do you assess the architectural and cultural value of a building where the Rat Pack once literally tore the joint to pieces, and Robert F. Kennedy was assassinated? On the northern edge of the Cal State Northridge campus lies a group of numbered trailers spaced out in what used to be a parking lot hardly an image that would lure incoming freshmen to the campus. While the average occupancy rate at L.A. County hotels remained flat last year, the average daily room rate increased faster than inflation, rising 4.5 percent over 1998. When it comes to air quality regulations in the L.A. area, few individuals are as influential as environmental attorney Robert Wyman. As the annual wrestling match continues in Sacramento over this year's state budget plan, the key debate has come down to tax rebates. How big should they be, and in what manner should they be granted? CONTROVERSY--Can 'Dr. Laura' Survive Storm of Protest? Three months before Dr. Laura Schlessinger's Sept. 11 television debut, the decision to create a show around the tough-talking queen of talk radio is becoming a media firestorm. In the eight months that online banking services provider Digital Insight Corp. has been trading on Nasdaq, the company has seen its stock price jump from $19 to $86, only to fall back back below $40. A coalition of local business and government officials, recognizing the vast economic potential of three new Metro Red Line stations opening on June 24, are aggressively moving to fully exploit that potential. One of LAX's biggest cash cows is poised to get a new $185 million contract and overhaul its operations. This is the time of year when high school and college students look for summer moneymaking opportunities. This means it's a great time to find temporary staff for your business. What Richard Heyman calls the "hardware" of a revived Hollywood Boulevard is starting to take shape, with new retail centers rising or about to and older buildings receiving much-needed facelifts. Like real-life viruses, computer viruses affect different people in different ways. In a much-anticipated report, the city's chief legislative analyst is expected this week to propose that local cable franchises open their fiber-optic lines to Internet service providers by 2002. Unless another monolithic hotel complex sprouts up in the very near future, The Westin Bonaventure Hotel and Suites will continue to dominate the list of the county's biggest hotels for some time to come. The way tobacco stocks have rallied this spring, it'd be a nice time to own a few shares of a tobacco sector mutual fund. Plan to Ride the Red Line? For a number of years, Elaine Gilboa used the family home at the foot of the Hollywood Hills simply as a place to raise her two children and keep a home office for her word-processing business. Xerox Special Information Systems will be moving from Pasadena next door to Monrovia. The company has signed a 15-year lease for a two-story, 137,500-square-foot building now under construction at 1218 S. Fifth Ave., just south of Huntington Drive. When major grocery chains shut their doors in L.A.'s inner city, Song has been right there to pick up the lease and open a market even grander than the exiting chain's store.